I feel privilegd to be able to share one of Dad’s Lenten sermons this Easter. Part 1 today, watch for part 2 tomorrow. 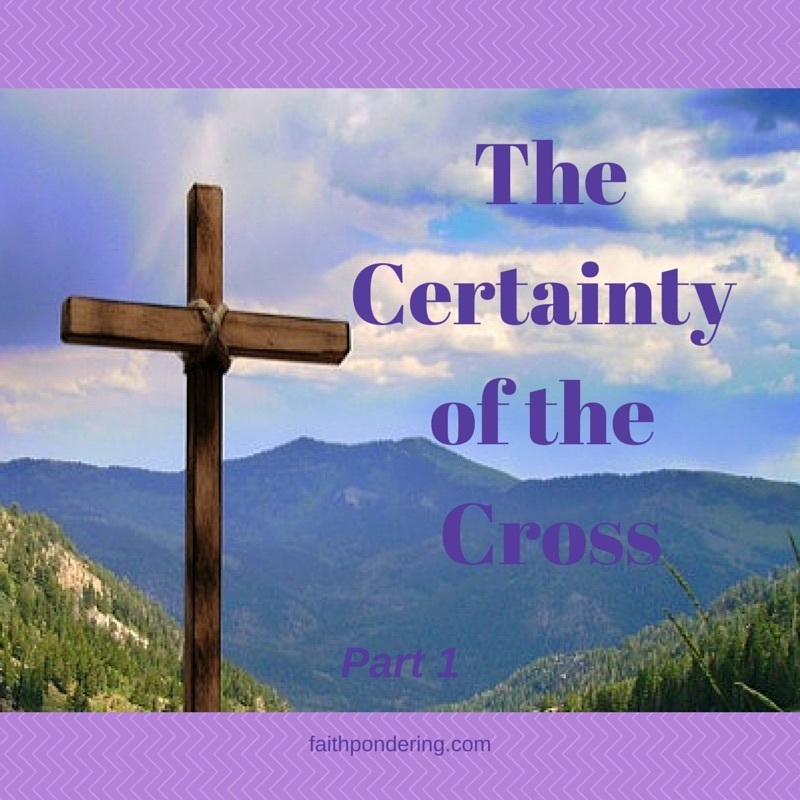 Just as soon as Peter and the disciples acknowledged who Jesus was he started telling them about his and their cross. The cross was a certainty. There was a great preacher who said, “I can bear much but there are four things I hate like poison: 1) tobacco smoke, 2) lice, 3) garlic, 4) the cross. Like Peter. So many believe Christians should have things better, easier. He could have compromised a little. Kept quiet, not been so outspoken, not stirred up the Jews. He could have gone to Syria. Did he believe in a divine rescue like Abraham and Isaac? He wouldn’t let his friends talk him out of doing what he knew to be the will of God (vs. 22-23). he had to be about the Father’s business. He had a mission in life and so do we. He never made personal comfort his ambition. He never made security his ambition. He never left relationships deter him. A cross is certain when we follow Christ. Sometimes we fail to take up our cross. We fall in step with the world, alter our course to avoid being different. We may fail to change habits that ruin our witness. You may say, “I don’t have a cross to carry.” Well, maybe everyone around you has a cross to carry because you always have to have your way. The unbelieving world tries to squeeze us into its mold. The cross is an eternal symbol of an unadjusted personality in an evil world. Part 2 continued Saturday. Please share thoughts above, just under the title. This entry was posted in Country preacher, Faith, Inspiration and tagged cross, Easter, Good Friday, Jesus on April 3, 2015 by faithpondering.